Volvo has been working on self driving cars technology for some time, the company will start trials of the vehicle in 2017, when 100 autonomous vehicles will hit the public roads in Gothenburg, Sweden. The company has now released more details on how their self driving cars will work, in the video below, we get to see a new interface for these autonomous vehicles and also how they will be used with a driver at the wheel. 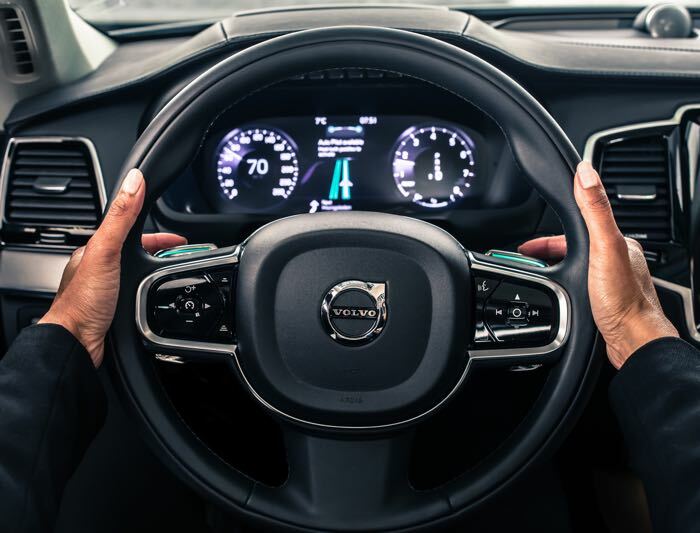 Volvo Cars has revealed one of the industry’s most advanced and easy-to-use interfaces to oversee how drivers will transfer control to a car’s autonomous driving (AD) mode in its forthcoming cars. The advent of autonomous driving technology means that the relationship between a driver and a car’s user interface is of crucial significance. A safe and seamless handover of control is the cornerstone of any new trustworthy AD technology. Volvo Cars has designed its IntelliSafe Auto Pilot to be simple and intuitive. The autonomous mode is activated and deactivated with specially-designed paddles on the steering wheel. Volvo will launch their project called Drive Me in 2017, the 100 autonomous vehicles will be made available to members of the public in Gothenburg, the cars will be drive themselves for distsances up to 50 kilometers at a time.